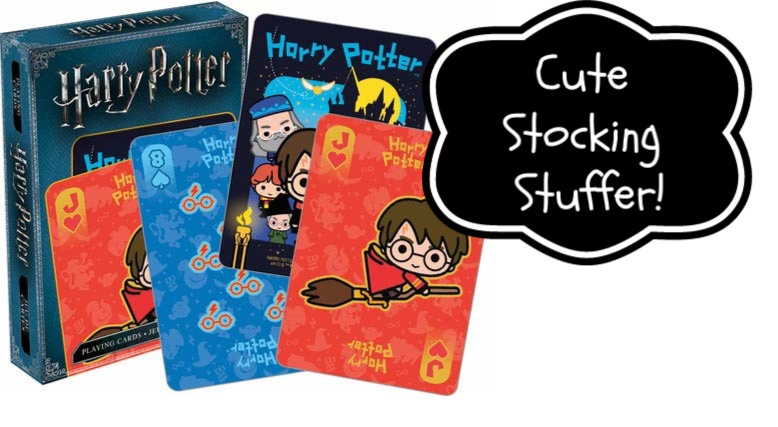 How cute these Harry Potter Chibi Playing Cards would be in the stocking of any Harry Potter fan! They have adorable Chibi faces, which is especially popular. These cards are made by Aquarius and are currently priced at just $7.98 shipped free (no minimum required on Amazon for a limited time).